The government has announced a consultation process on getting divorced. The move follows the widely publicised case of Mrs Owens who applied for a divorce from her husband and as her husband refused to agree to a divorce the case went on appeal to the Supreme Court. The Court reluctantly decided that on the basis of current UK divorce laws Mrs Owens wasn’t entitled to a divorce from her husband of 40 years. At age 68, the Court ruled that Mrs Owens would have to wait for her divorce until 2020 and then apply again. The decision prompted a flurry of media criticism, not at the Court ruling as judges have to follow the law, but at the archaic UK divorce legislation that many don’t think is fit for purpose in the 21st century. The divorce proceedings take about 4 to 6 months to complete and unless the divorce is opposed by your spouse you don’t normally need to go to a Court hearing to get your Decree Absolute of divorce. The justice minister, Mr Gauke, has recognised the ground swell of media and public opinion that the current UK divorce legislation isn’t fit for purpose in today’s age. He has said that having to blame your spouse in divorce proceedings helps nobody. 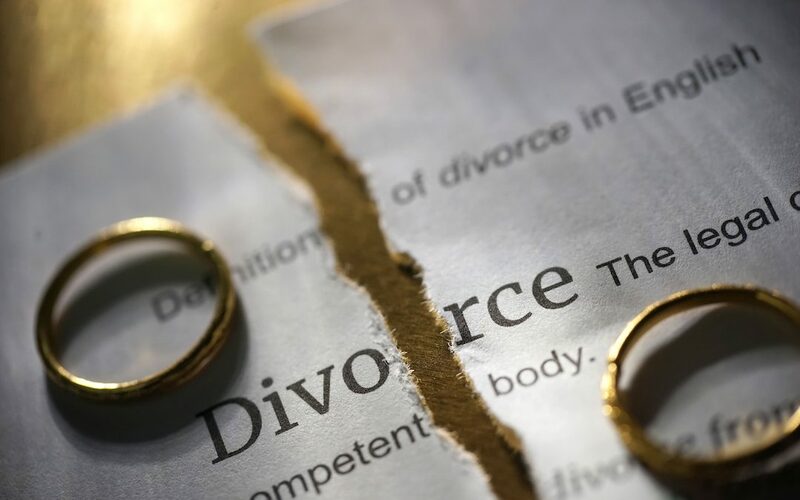 The divorce law reform consultation proposes that the irretrievable breakdown of the marriage becomes the only basis for divorce proceedings and that to get a divorce one spouse would serve notice of their intention to start divorce proceedings on the other spouse. Couples wanting a divorce wouldn’t have to establish adultery, unreasonable behaviour or wait for a specified number of years of separation in order to get a Decree Absolute of divorce. The major criticism of the current divorce laws is that citing adultery or unreasonable behaviour in a divorce petition leads to ill will and bad feeling resulting in couple’s finding it harder to agree on childcare arrangements and financial matters such as child maintenance. Starting divorce proceedings on the basis unreasonable behaviour without first getting legal advice from a specialist divorce solicitor on the minimum allegations that should be included in the divorce petition and the best way to get your spouse to understand the basis for the unreasonable behaviour divorce proceedings. As a divorce solicitor, I rarely find that starting divorce proceedings on the basis of a spouse’s adultery or unreasonable behaviour causes extra acrimony provided that the spouse on the receiving end of the divorce petition has been told by their spouse or their spouse’s solicitor or their own divorce solicitor that the allegations of unreasonable behaviour or adultery won’t affect children or money and are ‘a means to an end‘ so that a couple can get divorced without spending a lot on divorce solicitors fees. Sometimes, in urgent family situations, you have to leave quickly, move money and start divorce proceedings without consultation and discussion with a spouse on the contents of the divorce petition. However in non-urgent situations taking the time and respect to a spouse to make sure that the divorce proceedings are started and phrased in a way that doesn’t cause any unnecessary hurt can reduce the emotional and financial cost of a divorce. There are times when I see an unreasonable behaviour petition started by a spouse who hasn’t taken legal advice from a specialist divorce solicitor or one that has just been badly prepared by a solicitor that runs to 2 to 3 pages of old allegations going back to before the date of the marriage or causing unnecessary embarrassment by reference to personal matters or, for example, the mother in law. With a bit of careful divorce petition drafting and a discussion about what is likely to cause your spouse upset you can normally reach an agreement on an unreasonable behaviour divorce petition that will satisfy a divorce Court, won’t cause your spouse any extra embarrassment and, as importantly, minimises your divorce legal costs so you and your spouse can focus on sorting out the childcare arrangements and financial matters. I am an advocate of divorce reform as there are many occasions that I have sat with a spouse trying to explain, after divorce proceedings have been started with no discussion about the basis for the petition or the contents, that despite the upset and distress of the divorce petition their focus should be on not spending money on divorce solicitors fighting archaic divorce legislation when their energy and money is better spent on their children or sorting out a financial settlement. Why? Well the Evolve Family Law ethos is help clients navigate the confusion and hurt of divorce proceedings to achieve the best possible children and financial outcome in their individual family circumstances and not spend unnecessary money on divorce proceedings and divorce solicitors just because of the acrimony engineered by a divorce petition. If you want to know how much a divorce might cost, read our blog here.